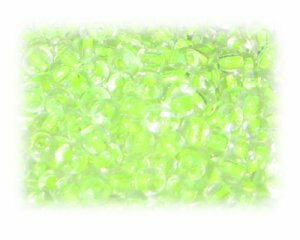 These are 6/0 Neon Yellow Inside-Color Glass Seed Beads, 1 oz. bag. Once I started ordering these beads its like none stop. I love them. Your like beadfabulous!